Silver. 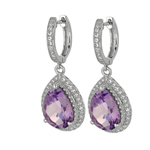 Shiny Tear Drop Amethyst Semi-Precious+CZ Dangle Earrings. - Tyler-Adam Corp.
Silver. 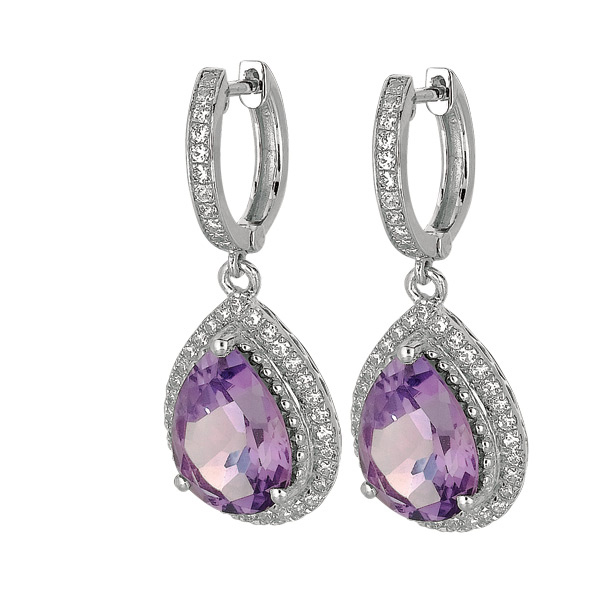 Shiny Tear Drop Amethyst Semi-Precious+CZ Dangle Earrings.